Labour is set to cast its gaze on the Tory “crown jewels” in the May local elections, chasing some seats which have been Conservative-held for more than 50 years. 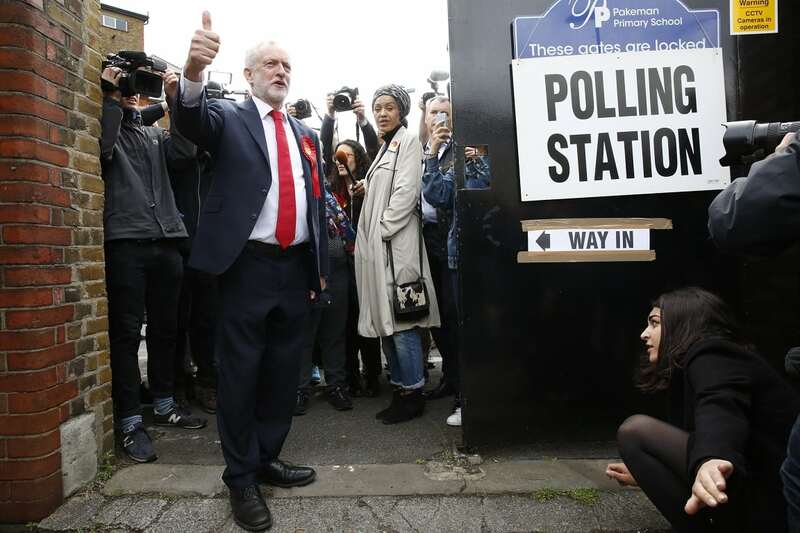 Jeremy Corbyn’s party sent tremors through the Conservative ranks in last year’s General Election when it stole several safe seats in the capital. And now they are looking to replicate that success, targeting Westminster and Kensington & Chelsea for the first time, as well as Wandsworth council and Barnet, which is currently under no overall control. Launching the party’s campaign for the elections on May 3 in central London today, Mr Corbyn attacked Kensington & Chelsea’s performance, which was branded “unacceptable” by the Government in the wake of the Grenfell fire. He also vowed to bring privatised services in Barnet back in-house, claiming Tory reforms have made workers “worse off”. In a pledge to Wandsworth and Westminster boroughs he said Labour control would bring about a living wage to give residents “decent pay”. A win in Westminster and Kensingston & Chelsea would see the seat change hands for the first time since they were formed in 1964. Wandsworth Council was last held by Labour in 1974 and Barnet is on a knife-edge after the Tories lost their majority when a councillor defected to become an independent.